The holidays can wreak some havoc on your bank account, but there are tons of awesome, beginner-level DIY options out there that make for affordable, handmade gifts. We gathered up some thoughts for the hands-on homesteader looking to start up some projects without bursting their wallet! It's easy enough to get into this level of "brewing" and is a non-alcoholic opportunity to give it a go. To make it a truly great gift, invest in some real flip-top bottles and repurpose the carrying case from a beer of your choice to be able to properly package the present. Add in some homemade gift tags and it's truly an adorable gift! We love this recipe from Mountain Feed for your first crack at making your own Ginger "Bug"! I always think of soap-making as being a bit of a pricey project (only because I am addicted to it and could spend all the monies on all the things!) but I was talking to a professional soap-maker the other day who felt differently. She reminded me that simple, straightforward cold-process soap can be made for minimal investment using items found at the hardware and grocery stores. Base oils are pretty easy to come by, lye can be purchased at most hardware stores, and you can use a milk container or Pringles can for a mold. No need for fancy equipment to test the waters and see if you like soap-making (though you will need to have safety goggles and disposable gloves on-hand). SoapQueen has a great introductory tutorial that covers the basics. Without added pigmentation or fragrance, basic soap comes out a nice color anyway, and it can be wrapped up in a pretty ribbon for minimal fee. Presto! Handmade gift! Done. The beautiful part is that a batch makes several bars, so it scales up nicely to be able to give to several recipients. It's a wonder to me why everyone doesn't make their own candles. It's a super simple, fun, and easy project that everyone can do with minimal investment! Although it's best to have pouring tins and laser temperature gauges, these are not by any means necessities! Grab some Mason or Bell jars (smaller are better) and fill up a collection, or get fancy and get holiday-themed molds! Either way, candles provide an excellent opportunity to make beautiful labels or stickers for you to include a note to the recipient. Make it festive by including winter-y scents like vanilla or cinnamon. 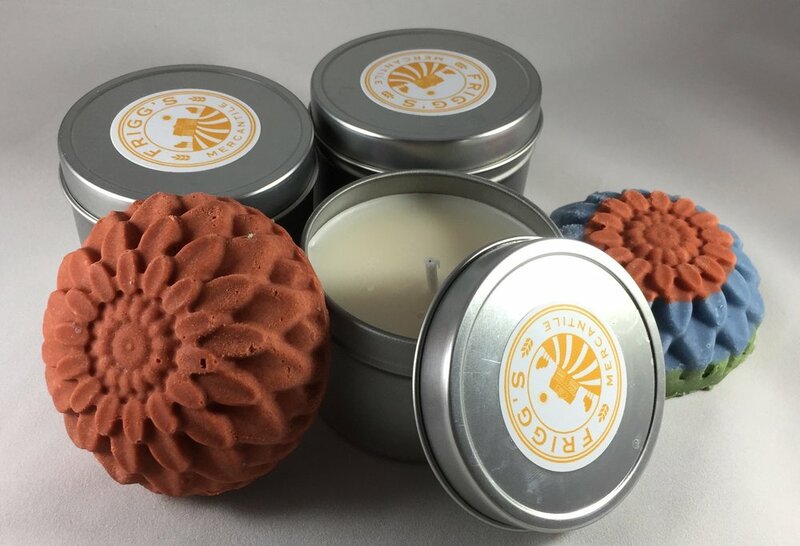 The beautiful thing about candle-making is that you can make plenty of candles in large quantities, which you can then personalize later with ribbons, tin labels, or tags. If you're interested in holding a candle-making workshop to crank out a bunch of candles with your friends, shoot us an email! Much like homemade soap, you don't need many ingredients to get this going. Coconut oil, arrowroot powder, baking soda, and beeswax are often core ingredients to cosmetic items, and they can generally be purchased at health food stores if not larger chains such as Fred Meyer. We love using Wellness Mama's lotion recipe, as well as her imitation Burt's Bees Lip Balm. 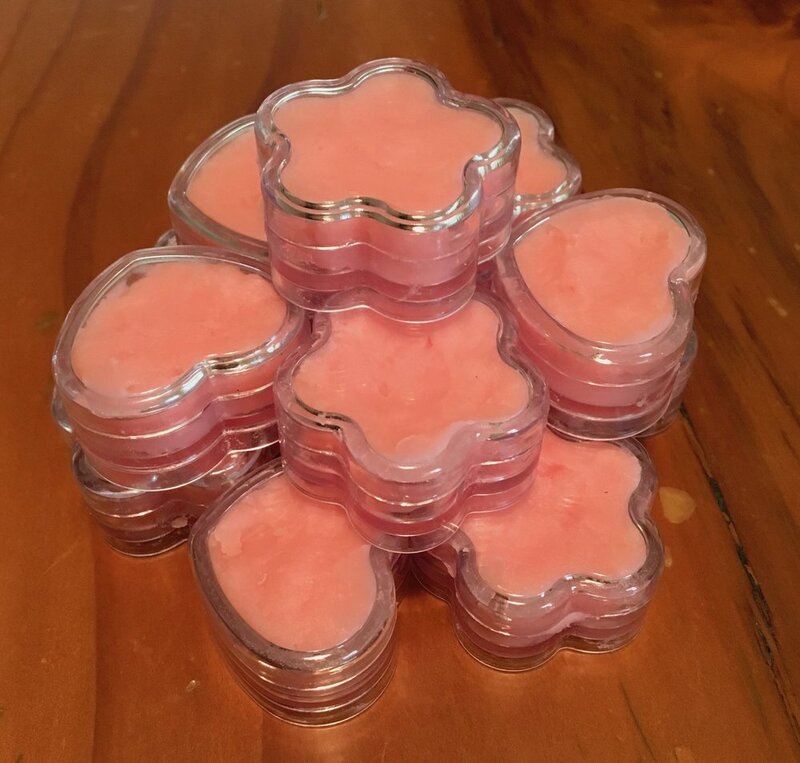 The hardest part about making these items is finding the containers to put them in -- contact us if you are looking to purchase some tins or lip balm sticks! Put the two together in a nice bag and you've got yourself a happy, handmade gift! If you have a particularly fantastic salsa recipe, or if you know your pickles are off the hook, consider giving them away as special treats. Naturally, if you need to can the items, do so safely. As with the other gifts listed here, you can always add some spice to the project by including personal labels on your jars, or by writing particularly thoughtful things on decorative tags. Lots of people don't think to give their cooking skills away as gifts, but it's a truly personal and often well-received present that stands out amongst store-bought goods. It may take a little extra planning but the price point is great! Of course, for those who are particularly ambitious, you can always think to pair up a few of these recommendations and give out baskets of thoughtful, homemade goods. Who wouldn't love that?! ?